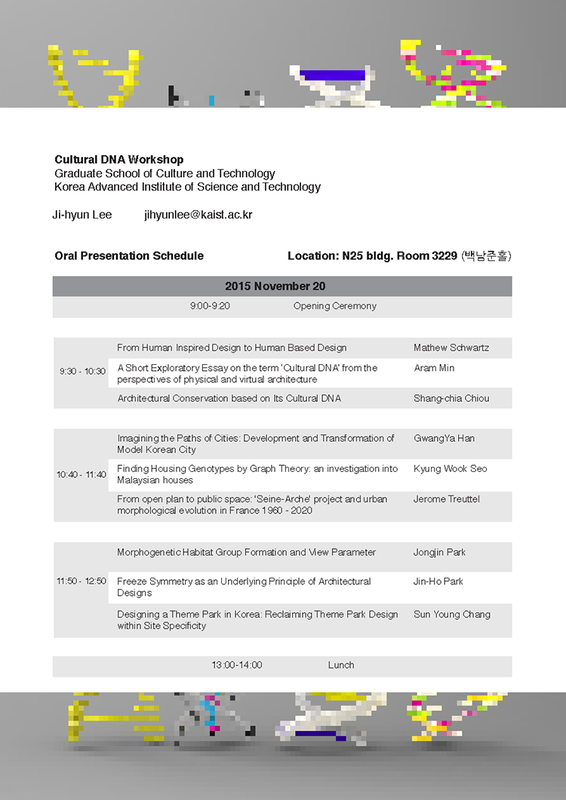 The 1st Cultural DNA Workshop will be held on November 20, 2015, at KAIST, Daejeon, Korea. 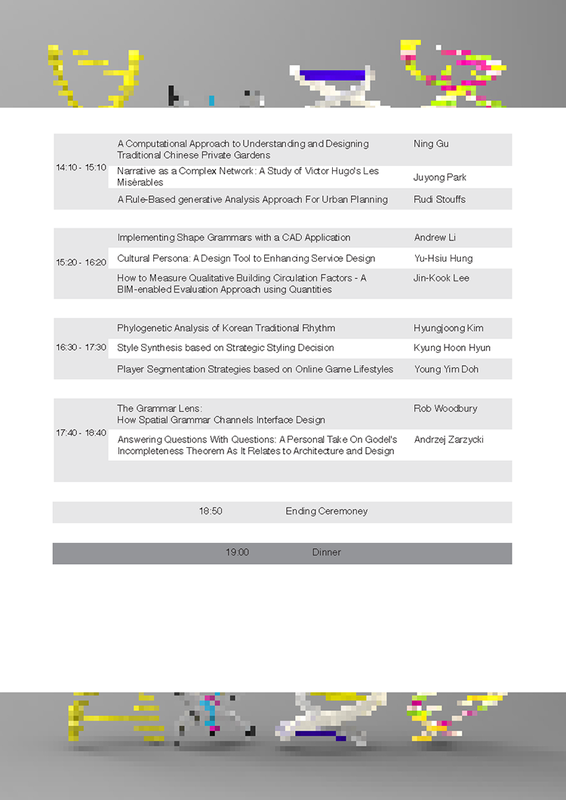 This workshop is an extension of Visual Exploration of Cultural Style in Design (VECSiD) Workshop held in 2009 at South Korea and Cultural DNA for Islamic Art & Architecture Workshop held in 2012 at Oman SQU. Many researches in computational design field implement shape grammars or space syntax for morphological analysis. 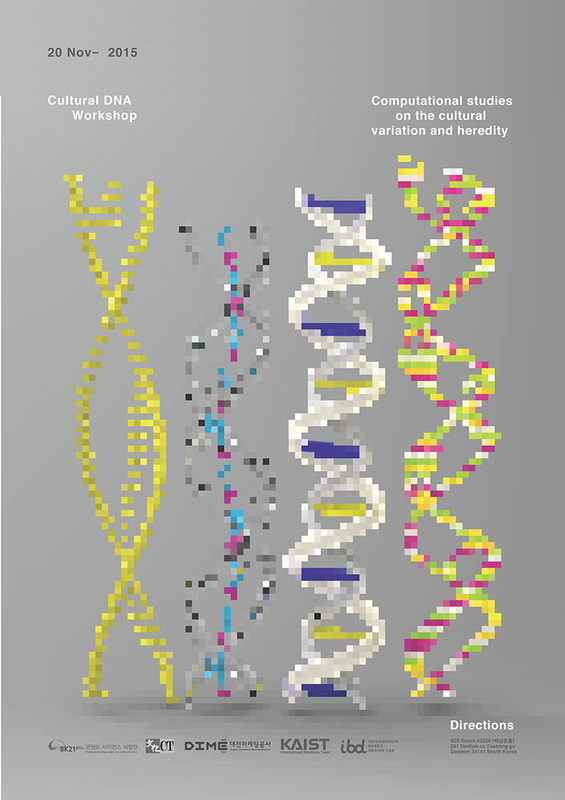 This effort led us to explore computational design field from the perspectives of a meme, a socio-cultural analogy to gene, from which the keyword ‘cultural DNA’ comes. Therefore, The goal of this workshop is to bring together the researchers from academia and practitioners to share ideas, problems and solutions related to the multifaceted aspects of cultural DNA. This time, researchers from United Kingdom, France, Switzerland, Singapore, Taiwan, Japan, Australia, Canada and USA as well as Korea will present interesting studies at the first Cultural DNA Workshop.